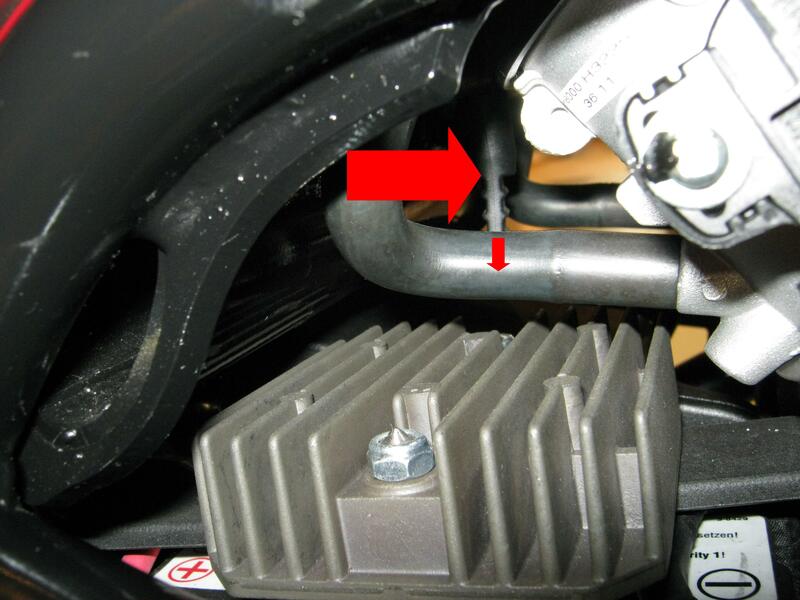 Looking from the right side, there is a spigot at the bottom of the air box with a rubber cap. Pull the tab on the rubber cap downwards to remove the cap. Push the Vacuum Adapter Assembly (SA-0097) onto the spigot as far as it will go. Push the thin, black vacuum tubing into the vacuum damper elbow, and then push the vacuum damper firmly onto the barb of the vacuum adapter. 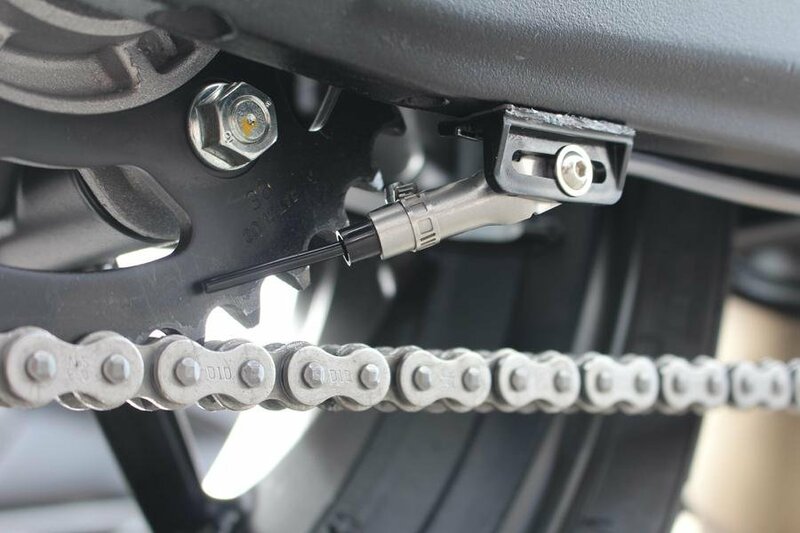 Note: Position tip of injector accurately - avoiding sprocket nuts and teeth. 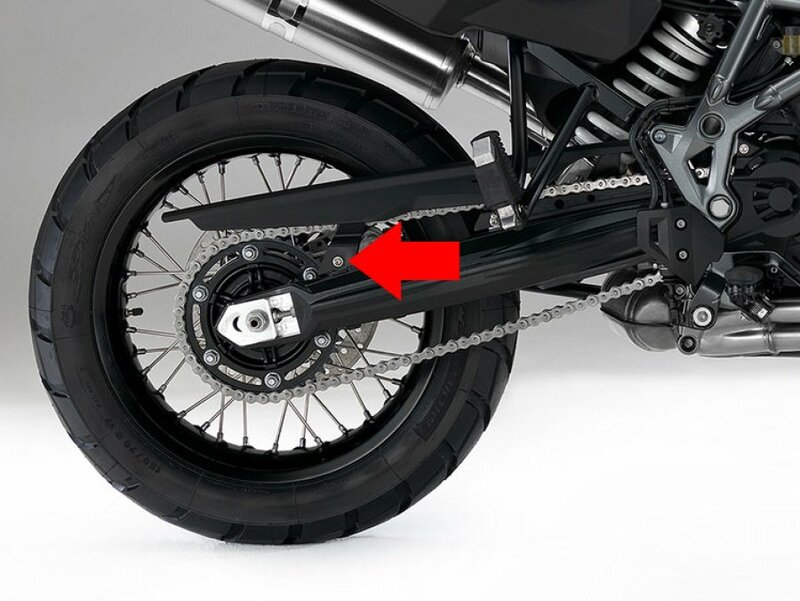 Please Note: This vSystem guide is for BMW F650GS / F700GS models fitted with evaporative emissons control (EVAP) only. These models were only available in the USA until 2016. There is a vacuum pipe from the inlet tract, leading to the "PURGE" valve. Cut this pipe and insert the 6mm Tee Connector. Push the thin black vacuum tubing into the Vacuum Damper elbow and push the elbow firmly onto the third leg of the Tee Connector.